I have a beautiful handbag for women. It is colorful and cheerful. Is perfect for gray, gloomy days. 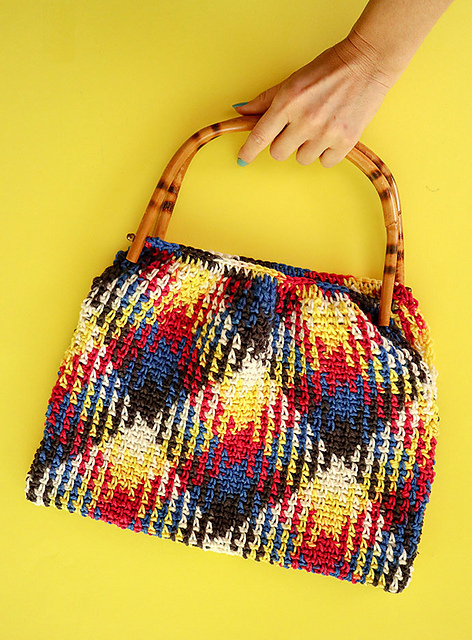 Is made in a wonderful plaid pattern. See how to crochet it. It’s a free pattern. You will make the purse at intermediate level. Use your skills you’ve learned. It is a very capacious and comfortable bag. A bamboo handle is added. It’s a great solution. Purse the bag from Red Heart Super Saver Pooling. The pattern is available in only one size. Handbag is a great addition to everyday stylizations. Is perfect for any occasion. Good luck! 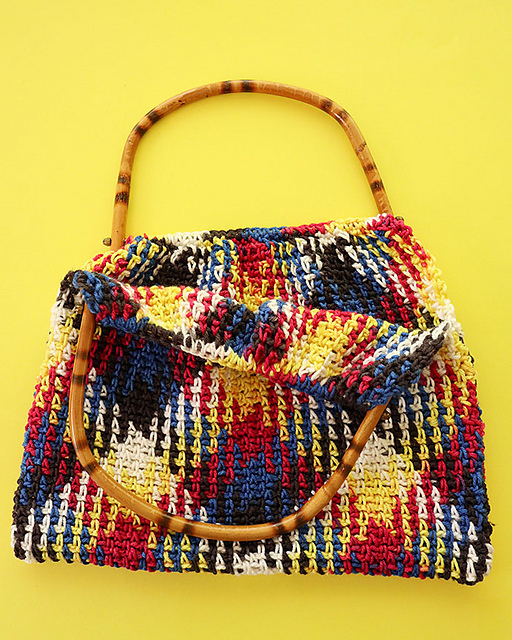 Planned Pooling Bag Free Crochet Pattern is here.